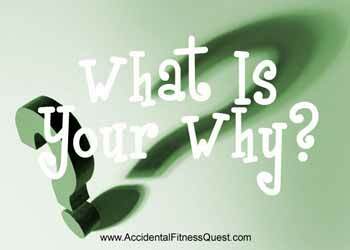 You are here: Home / Every Day Lives / Motivations / Do You Have A Why? Want to Know Mine? Why did you decide to get healthy? I’m assuming that’s why you’re here. LOL, you were probably also drawn in by the lure of lower calorie chocolate waffle recipes, donut recipes, and pumpkin cranberry bread. Yes, all of these things exist and more in a dieting world. When asked why though, lots of people will reply with things like a relative got sick and they wanted to make sure it didn’t happen to them, or a doctor told them to, or they wanted to have more energy to play with their kids. Those are all great reasons, but it doesn’t have to be as monumental as that. Why did I start working out and eating right? It’s not quite as awe inspiring as you might think. Even though I’d been told I had high cholesterol for years, doctors told me not to worry because my weight was normal. So my reason definitely wasn’t health reasons. Nope, it wasn’t for vanity reasons either. I started working out to prove someone wrong. You see, most of my adult life I did cardio like a crazed person for about a week’s time (maybe two) before throwing in the towel. I tried Jane Fonda in my leotard of the 80s. Not a pretty sight. I apologize to all those who went to Bally’s during my thong leotard and leg warmer phase. Some things you can’t unsee. I woke up sometimes to perky Denise Austin on my TV. That was back when she had the 30 minute show on TV and you had to keep moving during the commercials. Kathy Smith tried to kill me with her DVDs. I had all kinds of infomercial exercise gadgets and DVDs. 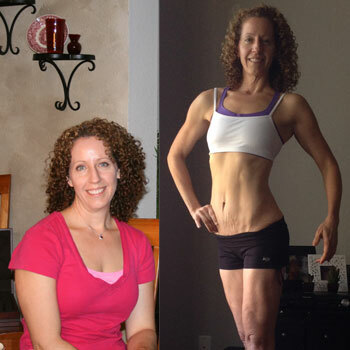 I tried slim fast, nutrisystem, weight watchers, fad diets and thought I was eating right. Nothing worked. I was not overweight, but I was skinny fat and squishy. Gawd was I squishy… and big… BUT normal weight. WTF?! One day a few years ago, I was sitting at my desk whining about being fat. One of my friends said that I should give this trainer a try. Most likely he wanted to beat me just to get me to finally stop talking about my blubbery tummy, but somehow he didn’t use that as ammo. I immediately replied back that I was a hopeless case and the trainer wouldn’t work. I had done all of the above and nothing helped. This was just the way I was meant to be because of genetics. It was fate. No point in trying to change it and fight a losing battle. He suggested insisted I just give it a try since the worst that would happen is nothing and I could just quit. Actually I wasn’t even going to call, but my friend told the trainer and the trainer called me and left a message. Being the stubborn person that I am, I went into it with the “Yeah, I’ll do it and then tell you I told you so” attitude. Yes, I know it’s hard to imagine me being that way. 😉 I reluctantly called Trainer Man back and set up the appointment. At the initial consultation, I committed to 6 sessions which worked out to be 2 weeks worth. He told me how much cardio I needed to do on my own, gave me a meal plan, and I did three workouts a week with him. He said he would take my measurements and body fat every week. I followed the plan for the first week to the letter and bang! The results were shocking in just a week. Honestly I don’t even remember what they were exactly, but I clearly remember my jaw dropping and making him take the measurements again under my eagle eye. There was a repeat during week 2 so I just kept at it. Guess who got the last laugh in this story. Hint, I got to eat crow but there were absolutely no regrets. I slapped sauce on that crow and chowed down. The moral of this story is that it’s all well and good to have pressing health reasons to start eating right and working out, but you don’t have to wait for something like that for motivation. It’s just as good to start out to prove someone wrong, or to try something new, or any other reason. The most important thing is that you do it. Maybe you’re still thinking about it and trying to find the motivation. There’s rarely a perfect time for anything and if you wait for a perfect time, you just might miss out on one of the best things that will ever happen to you. Trust me when I say that your health can be life changing. If I hadn’t attempted to prove someone wrong, I wouldn’t be where I am today and that’s a pretty great thing. If you are hoping that something will change, stuck in the planning stages, feeling like it’s genetics, let’s talk about a plan. We can work together to prove all those things wrong for the last time.